Welcome to And Finally, our home for the stories of the week that are unsubstantiated, rumoured, and just require massive caveats. In the week that we saw the Mi Band 4 announced, informally, in an earnings call at Xiaomi – there’s plenty else going on. Fitbit’s new devices look strong and the Apple Watch keeps getting better and better. Let’s take a look at this weeks’ wearable tech rumours. While folding phone were the talk of MWC 2019 back in February, it seems foldable wearables are on the way as well. LetsGoDigital has spotted a patent for a Samsung folding phone that’s able to be worn around the wrist. The device itself looks like a long, tall smartphone. The top section doesn’t appear to bend and this is where the controls, volume rocker and camera live. The rest can bend around almost onto itself and create a loop, which Samsung believes you’ll wear around your wrist. There’s no other details about what the device might do. It’s unlikely this will ever see the light of day in this exact form, but there’s obviously neat comparisons to the Nubia Alpha wearable smartphone from MWC. This niche device certainly caught the eye, boasting a similar design to this Samsung patent. Was it comfortable to wear? Hell no, it wasn’t. Patently Apple has uncovered a filing for ski detection on the Apple Watch, which should excite winter sports fans. While skiing has been a fixture on rival devices – such as Garmin and the TomTom Adventurer (RIP) – it’s little surprise that Apple is looking at things a little differently, and there’s some really interesting detail in this patent. First, the Apple Watch would track skiing all day – without you having to stop and start for runs. Using motion and pose detection, the Apple Watch would go dormant when you’re on a ski lift, taking a break in an alpine bar, or lying on your back in the snow. It can do this via accelerometer data, but also, according to the patent, using the optical heart rate monitor. From your heart rate reading, the Apple Watch can detect the “white knuckle effect” – not a reading of how gnarly your downhills are – but when your hand grips something, in this case the ski poles. With the season coming to a close for another year, we might see ski detection launched this summer. It’s curious we’ve not seen it before. While a lot less advanced, the TomTom Adventurer would track ski runs and auto-pause on ski lifts – so there tech has been out there for a while. However, it seems Apple is bringing more to the table – and that’s what it does best, right? Good news for Apple’s ECG feature – a huge study in the US, led by Standford University and funded by Apple – has studied the potency of the irregular heart rate detection. Out of 419,000 people who signed up to the study, only 0.5% were given irregular heart rate alerts. Of those who took action and sought medical attention (around 57%), a third of those had an afib condition. If users received two notifications from the Apple Watch, afib was found in 87% of that sample. When the ECG feature launched, some critics warned about large amounts of false positives prompting unnecessary check-ups. However, that doesn’t seem to be the case, and while the study recommends more testing, it’s a big vote of confidence in Apple’s technology. Check out our feature on how ECG heart rate detection could save your life. Last week Fitbit announced a slew of new fitness devices – and our definitive reviews are in. We gave the Fitbit Inspire HR a four-star review, praising the attractive and accessible price point to access Fitbit’s wellness features. Meanwhile, the Fitbit Versa Lite Edition got a whopping 4.5 stars in our review – and we described it as “Fitbit’s best ever smartwatch”. The Lite Edition trims some features and cuts price, making it a true budget smartwatch. Check out how the two compare in our Fitbit Versa vs Versa Lite: what’s the difference guide – and as always, our best smartwatch and best fitness tracker buying guides. You won’t find many Apple Watch deals better than $80 off a Series 3, which is happening right now over at Amazon. 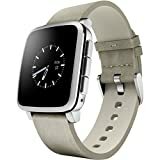 Amazon is offering $80 off the ticket price, and that bags you the GPS smartwatch, with a white strap and aluminium case. Both the 38mm and 42mm are treated to the discount, and you’ll struggle to find better value than $199 and $229 respectively. You can also save $80 on the LTE version, too.